The Raw Horse is a visual hymn to the relationship between the horse and the human being. In a world that is nervously searching a reason for its existence between hate, finance, war and a digital reproduction of life, the horse represents pure beauty, peace, freedom. It is the most valuable treasure of the third millennium. The Raw Horse shows the horse in a simple but profound way, as if it was an uncut diamond. The project is intended as a visual poem representing universal emotions such as peace, strength, freedom, beauty. Shot worldwide (so far Argentina, USA, Poland, Italy, and England). The project is continuously in project and will finish with the publication of a coffee table book in 2016. 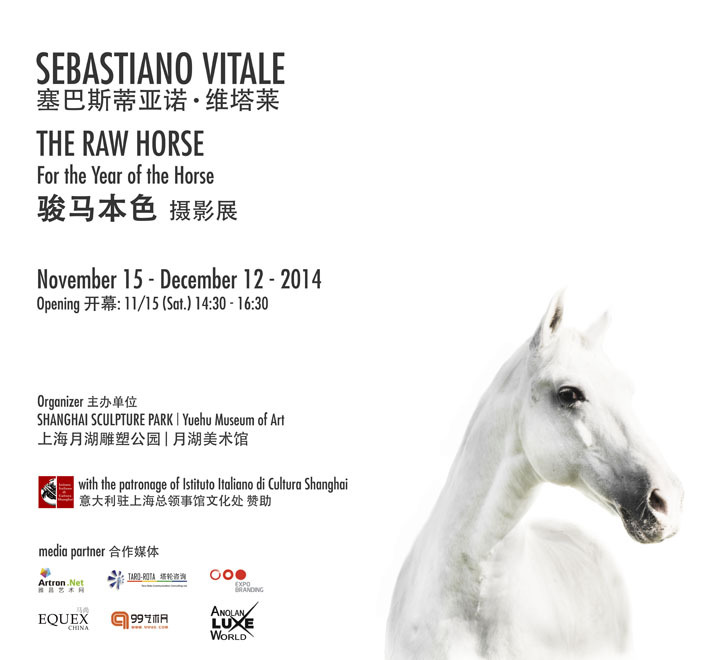 The Raw Horse presents in Shanghai a selection of 26 works in limited edition. The show has the Patronage of the Istituto Italiano di Cultura – Shanghai.